List all Bavaria in our offer. 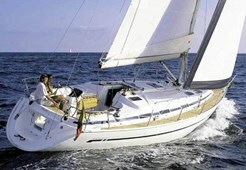 List all Sailing boats with same number of berths (6). List all Sailing boats in the same base (Biograd). List all Sailing boats in the same region (Zadar). Check in for boat is at 17:00h and check out at Friday Saturday 08:00h.